Mindfulness meditation is a secular form of meditation that has its roots in Vipassana—the oldest form of meditation the Buddha taught over 2,500 years ago. The main goal is to attain freedom from suffering. This is accomplished by developing self-awareness, or mindfulness, because it is our inaccurate views of the world that trigger our negative emotions. Growing up we learned that in order to be happy we had to indulge positive emotions, and avoid negative emotions. The problem with this approach is that emotions are temporary, so we spend a great deal of time and effort trying to recreate the conditions that led to the pleasant emotions—very often unsuccessfully. So we ended up compromising the harmony within ourselves, and with the people around us. 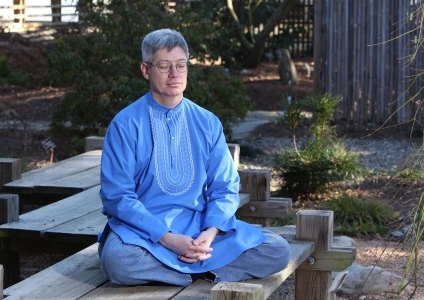 With mindfulness meditation, you’ll develop an awareness of the true nature of reality. By observing what is happening within your mind, body, and the world around you, you’ll begin to lift the veil of illusion that creates the suffering in your life. This is essentially what a spiritual awakening is. Mindfulness meditation is a training of the mind that will help you to overcome your fears and painful emotions, so you can be free of the suffering. Today, people everywhere are taking up the practice because scientists are discovering a multitude of benefits. Health benefits include stress reduction, lower blood pressure, decreased risk of heart disease, overcoming depression and substance abuse, improved immune system, pain management, and many more. The practice has even been shown to slow the aging process. At the foundation of the practice is the development of concentration and mindfulness. These will be your primary tools of observation. By developing them, you’ll be able to look deeply into the nature of reality. For a brief explanation of the mindfulness meditation techniques, click here. Our book, Mindfulness Meditation Made Simple: Your Guide to Finding True Inner Peace, will guide you through the 12 Steps of the Mindfulness Meditation Practice. It includes a series of exercises that will give you a solid foundation of the practice, so you can transform your life and relationships.